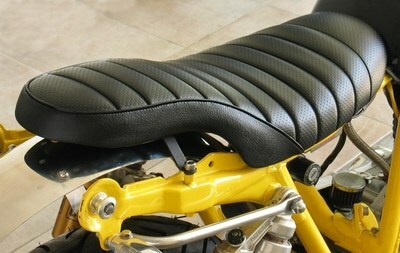 This vintage style seat fits the Yamaha SR500 and SR400 pre FI models. 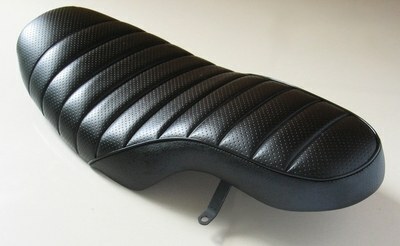 Upholstered in black naugahyde with black piping. 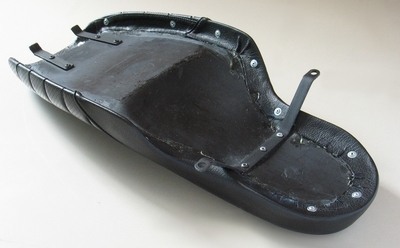 Built on a light weight ABS base, the complete seat weighs just 1500 grams (3.3 lbs). This offers an affordable way to shed some weight and improve the looks of your SR project. Note: If you are fitting to a 1978 SR, you may need to cut and remove the rear frame bridge to prevent interference. Later models do not have this.